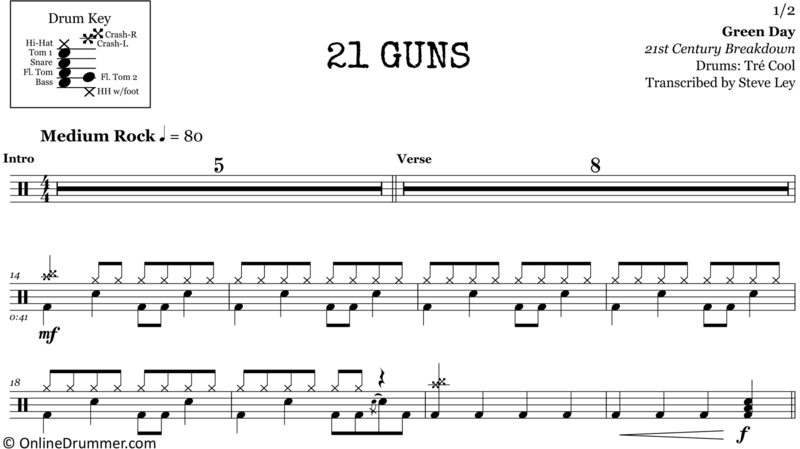 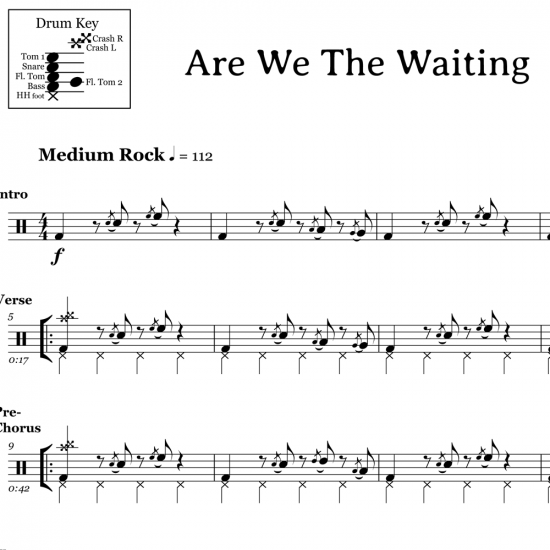 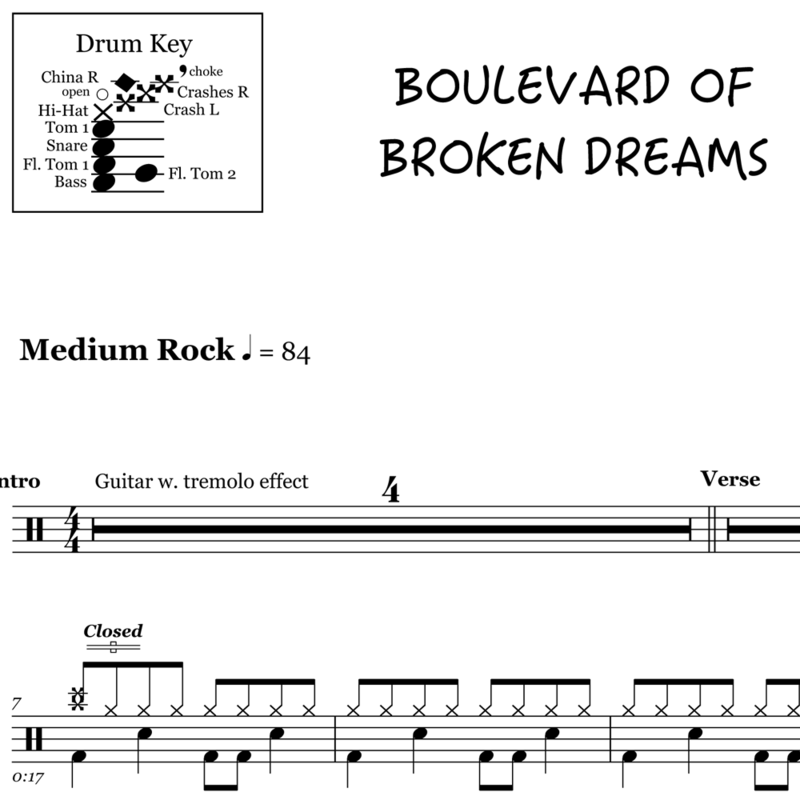 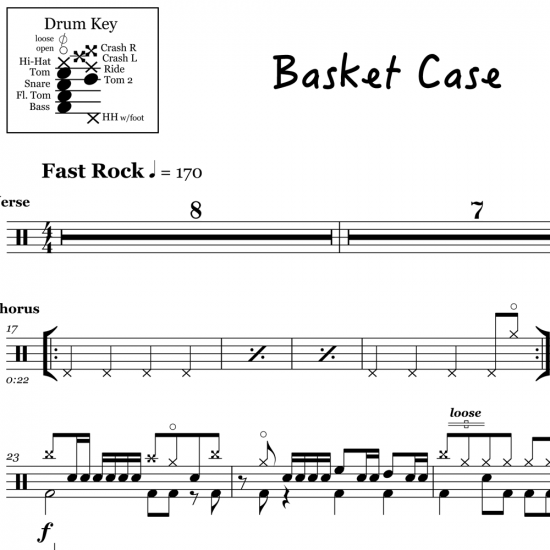 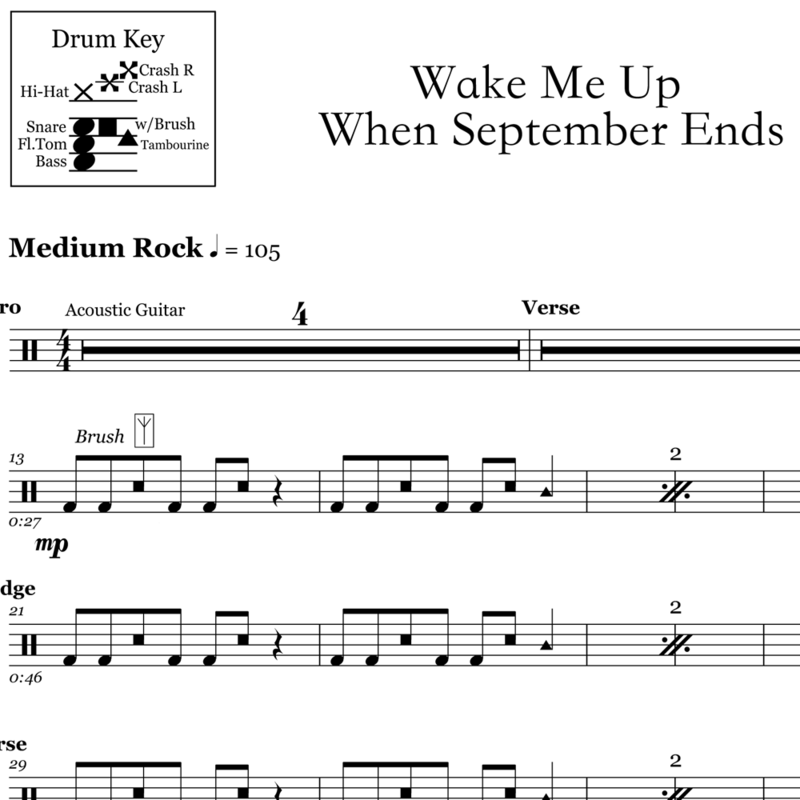 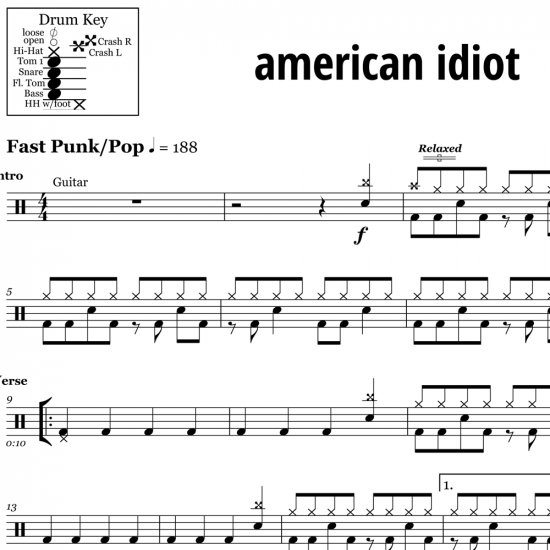 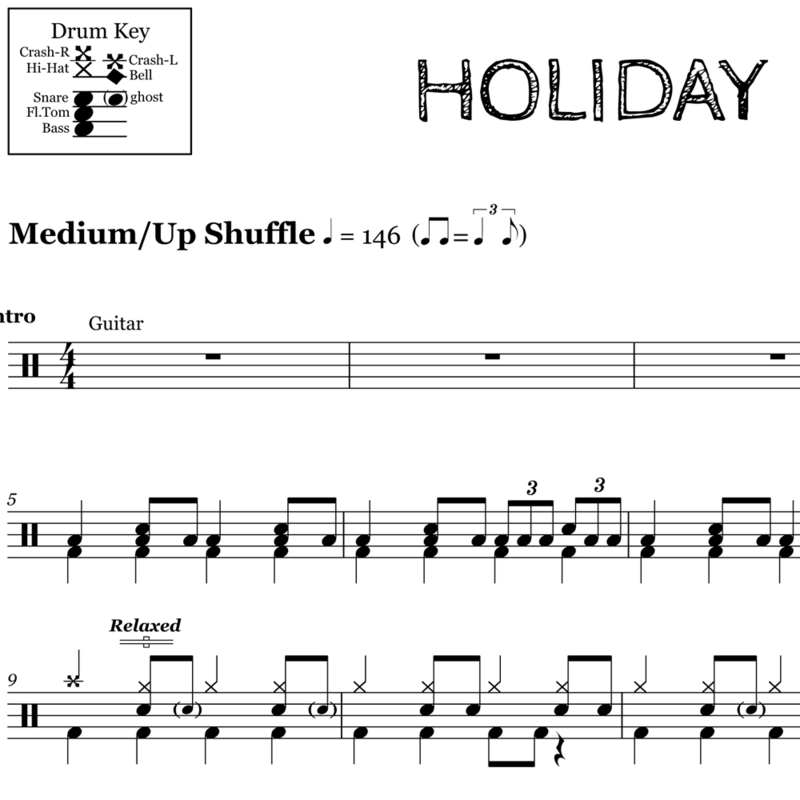 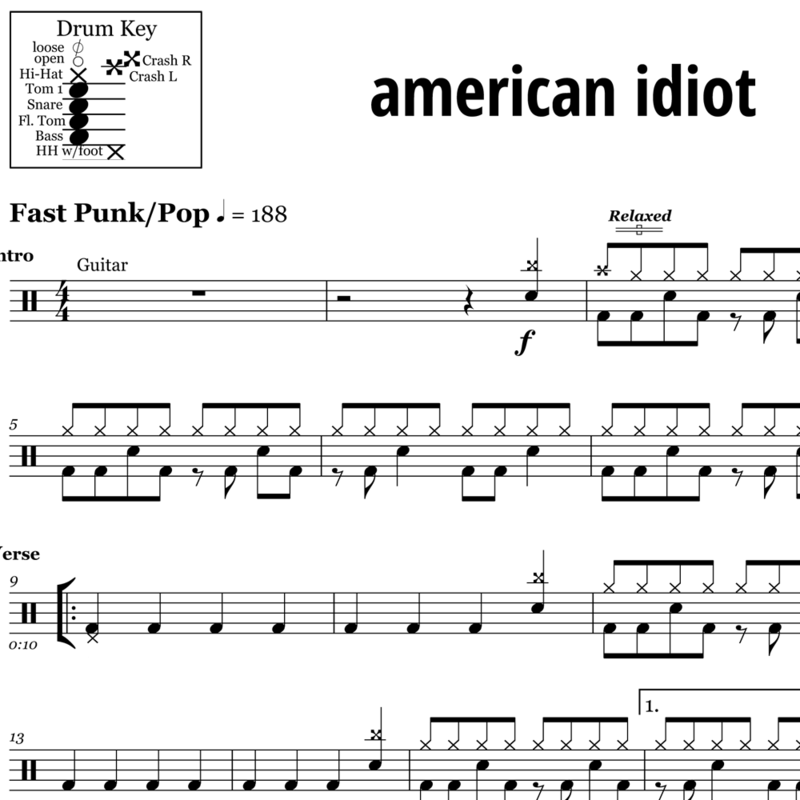 The full drum sheet music for “21 Guns” by Green Day from the album 21st Century Breakdown (2009). 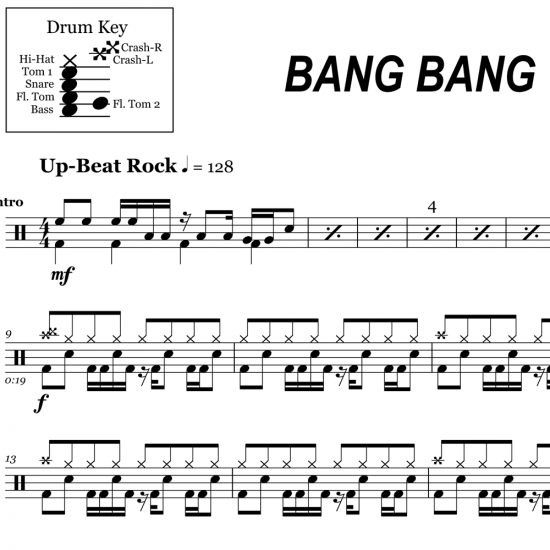 Though Tré Cool slowed down to 80bpm, this rock ballad features some “Cool”, heavy hitting with dynamic crashes, tom grooves and solid fills. 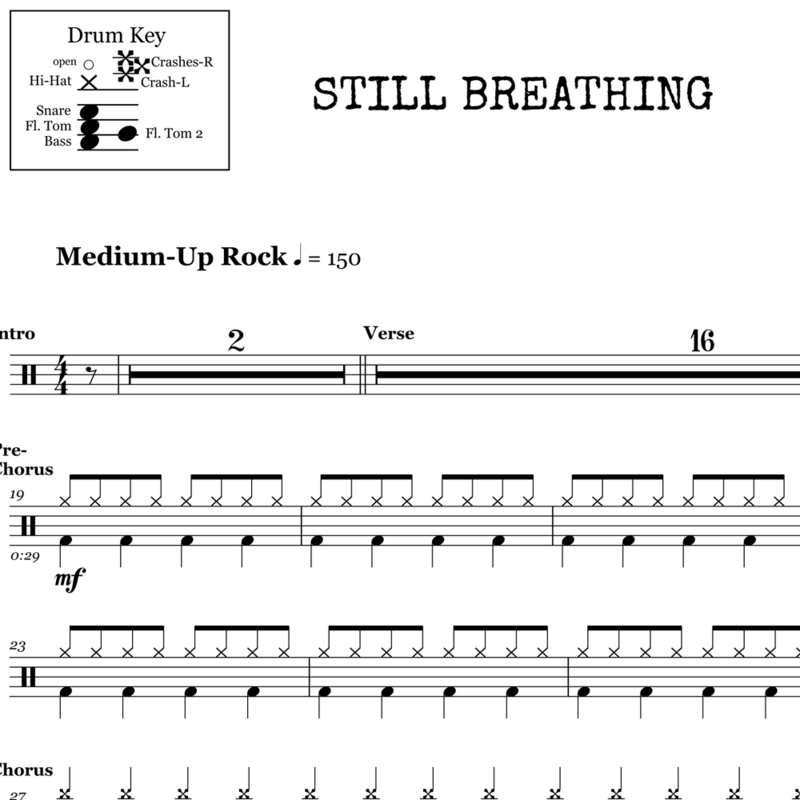 Play along with Cool and this classic song from the first decade of the 21st century. The full drum sheet music for "Bang Bang" by Green Day from the album Revolution Radio (2016).